Welcome back to another instalment of 10 for 10. This is a series from WatchGecko that sets out to inform you, the reader of 10 watches branching over 10 different categories that combined offer an extremely versatile, enjoyable and rounded collection. All together coming in at a value less than £10,000. Some watches maybe more expensive, some may be extremely affordable but together they will collectively cost less than £10,000. 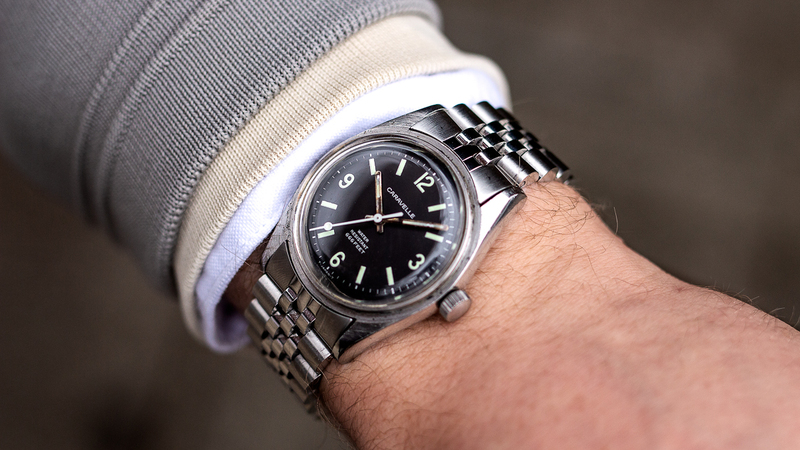 Why you need vintage watches in your collection. However, build quality of the watches still remains at a respectable level with many examples available on the vintage watch market. 1968 was a big year for the parent company Bulova as the Satellite Clock (the first public clock to display time controlled by time signals broadcast by orbiting satellites) was installed on Mexico's tallest skyscraper. 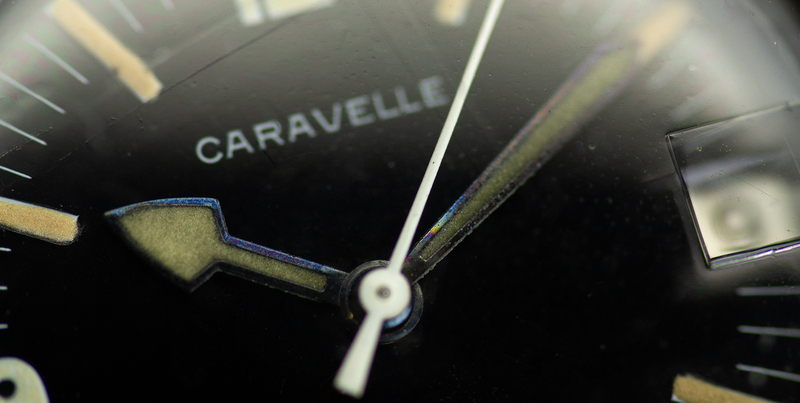 Caravelle also had a good year as it has cracked the US and became the largest selling jewelled movement watch. 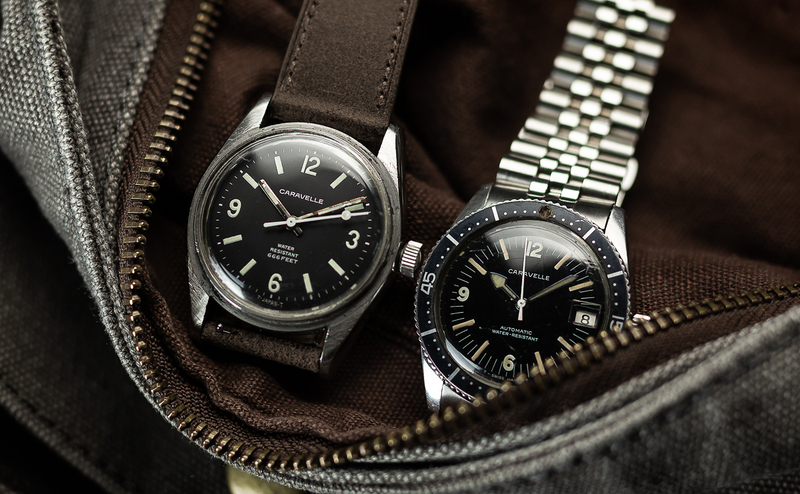 As expected with older watches, the Caravelle comes in smaller than our modern interpretation of diving watches with a case width of 36.5mm, a lug to lug distance of 44mm and a thickness around 11mm. 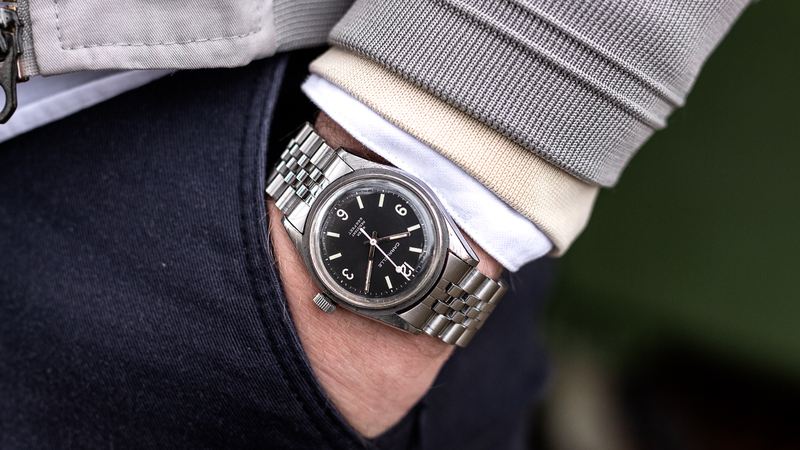 As vintage watches go, these dimensions are actually very wearable on modern wrists, closely resembling the Datejust and Explorer. 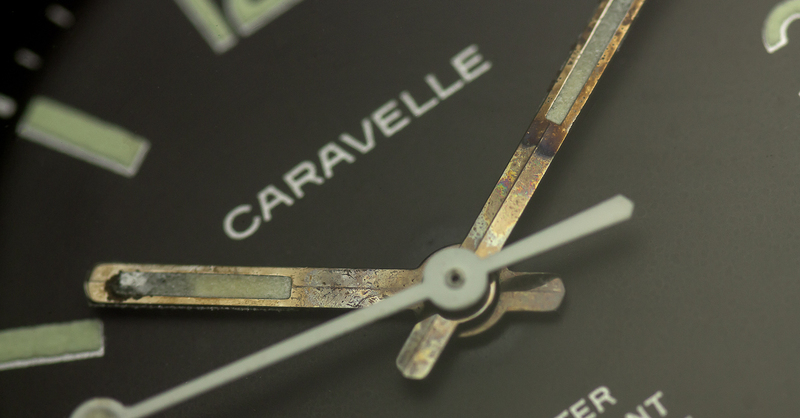 Much like the cases on Rolex watches, the Caravelle hugs the wrist remarkably well with the case back disappearing into the wrist and hiding a good chunk of its 11mm thickness. A profile view of the case also reveals it's gradual curve towards the end of the lugs - another great little feature of the Caravelle that really assists the watches wear-ability. Originally the watch came with a diving rotating bezel, however, this specific model was a fully faded out one - I’ll explain why it isn’t fitted with that later. The watch features an acrylic crystal, universally accepted as the standard for watches of this age. 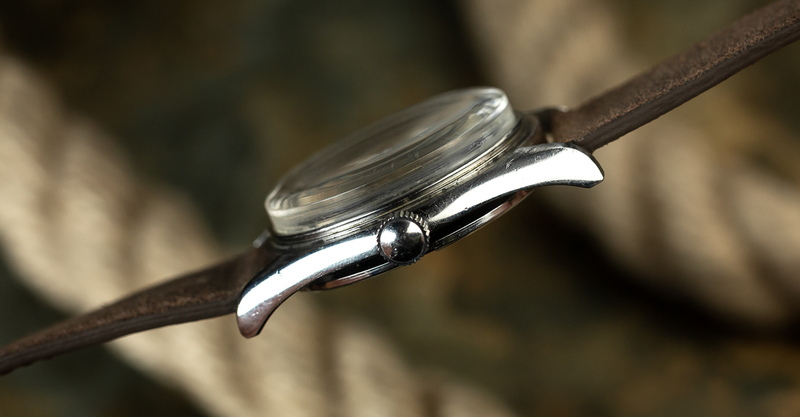 Looking through the acrylic you'll notice the watches uncluttered, simple, balanced dial layout. Just a simple 3,6,9 and 12 along with short indices and the minimal obligatory branding/water resistance rating text grace the dial. Some may say this dial configuration is 'boring', but in reality its far from it. The flat matt black dial texture reminds the wearer of the watches practical tool watch past life. Simple clean stick hands keep track of the time with varying amount of ageing per watch. The hands are subtly curved down the middle inviting light to bounce off the hands at different angles. The watch is (well, was) water resistant to 666 feet which is approximately 200m. 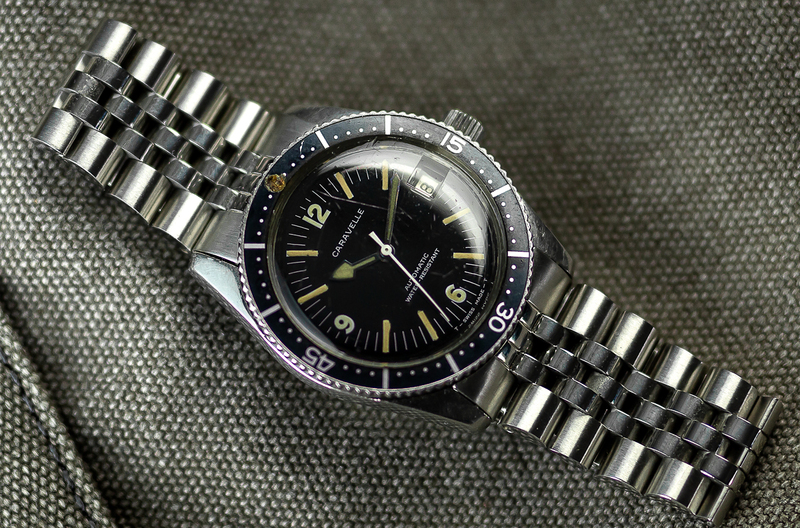 This is a very practical and useable depth for a diving watch, however, I would advise your Caravelle admires the water from a distance nowadays as time will not have been kind on the internal rubber and seals, not guaranteeing the watches water resistance at all. With a rating of 666 ft on the dial, you can see where the nickname 'Devil Diver' comes from. How does to wear on the wrist? 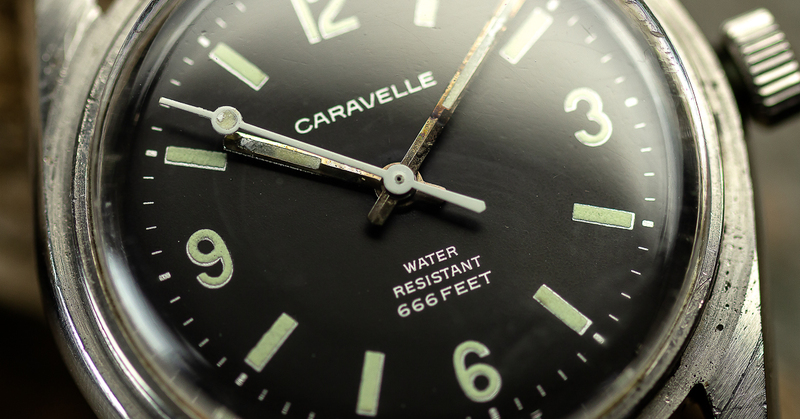 With all of those impressive stats, it should come as no surprise that the Caravelle wears brilliantly on the wrist. 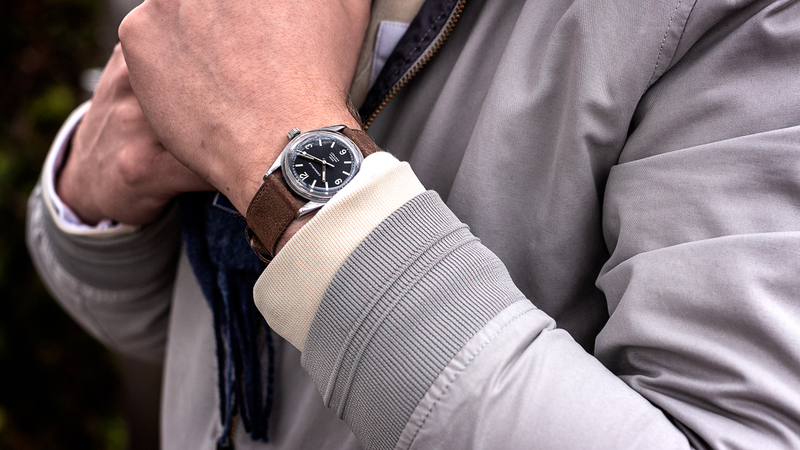 The watches pure, 'no frills' design means it has versatility in abundance. Throw it on a metal strap and you retain the watches purposeful past. Or swap it out for a quality leather strap and allow your Caravelle to retire in daily comfort and class. For a vintage watch, the build quality is reassuringly high meaning you have a piece in the collection you don't feel scared about knocking. For a watch which was a part of the 'budget' or 'value' line up it really does punch above its weight. The watch isn't a bulky piece and can adapt quickly to different situations you may be wearing it in. 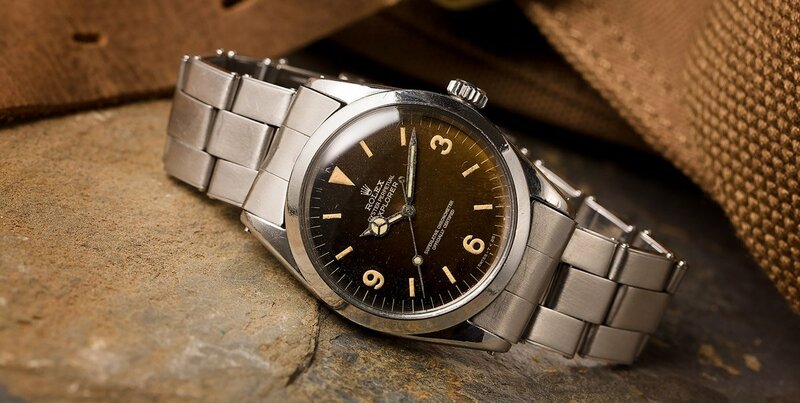 One key, almost unexplainable feature of vintage watches is their charm. 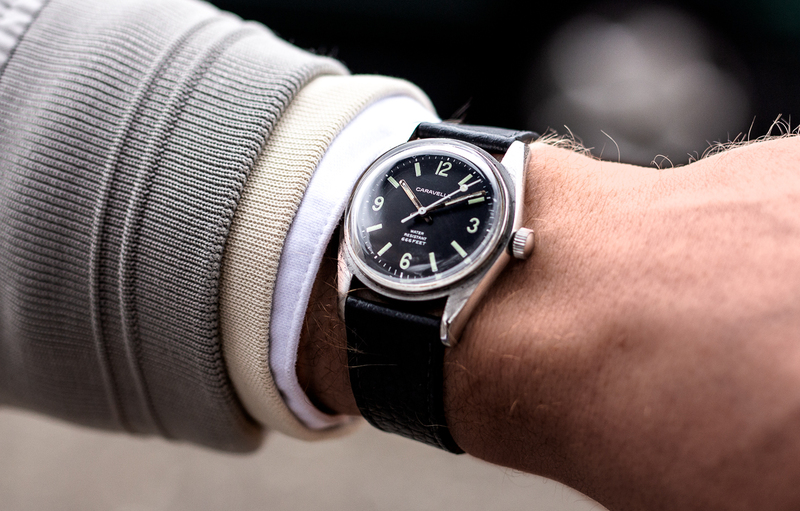 Vintage watches just have something about them. It could be their uniqueness. The fact you can have two exact models next to each other and they can easily be vastly different is pretty special. Whatever it is, the Caravelle has it. Naturally being vintage, the cost of these pieces can vary depending on the condition. The example we see here cost around £200 without a strap and with a fully faded bezel. I decided to take the bezel off the watch to really emphasise the watches similarity to the 1016 Explorer - it had to be done. 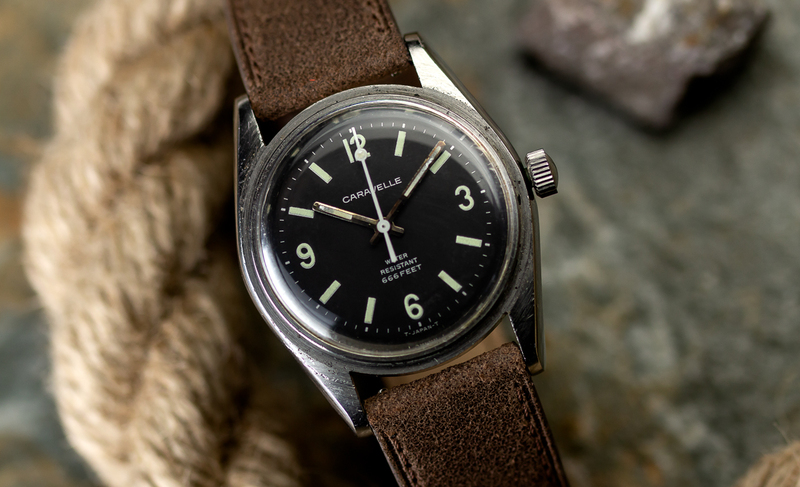 With such a similar design to the iconic Explorer, everything all starts to make sense as to why the Caravelle is a stand out option as a vintage watch. This is a look I immediately wanted to put together when getting my hands on the Caravelle. 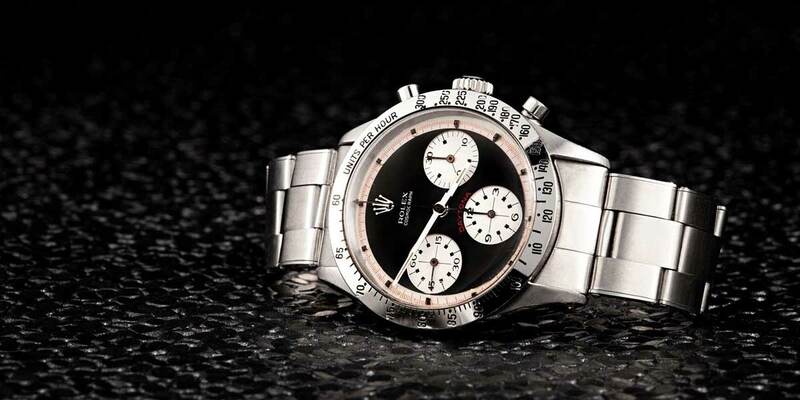 This bracelet combination further advances on the watches bare bones, purposeful design and once again is very reminiscence of the 1016 from Rolex. This strap uses the standard curved ends available on the site fitting the Caravelle's case curve. One of our most popular newer additions to our range, the Painswick QR is a great strap for the Caravelle. 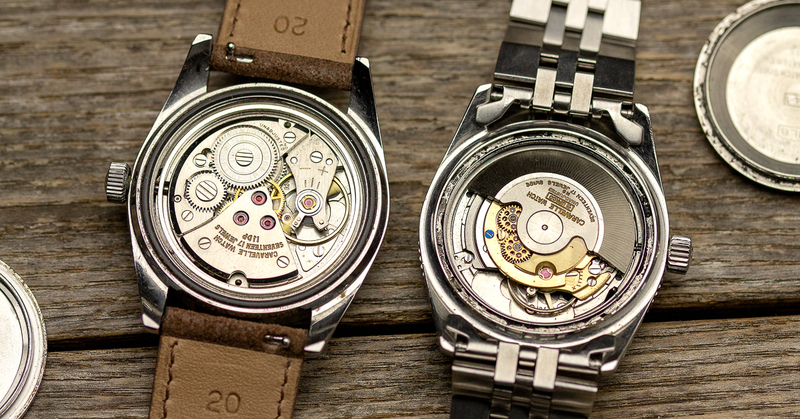 Firstly the strap has a distressed texture to which really works to emphasise the watches tool watch origins. Next, the strap is around 2.2mm thick, meaning for thinner watches this is the perfect option. And finally, quick release spring bars mean you can easily switch up the straps without tools. For the Caravelle, I went for the Distressed Brown adding a nice level of warmth to the piece. 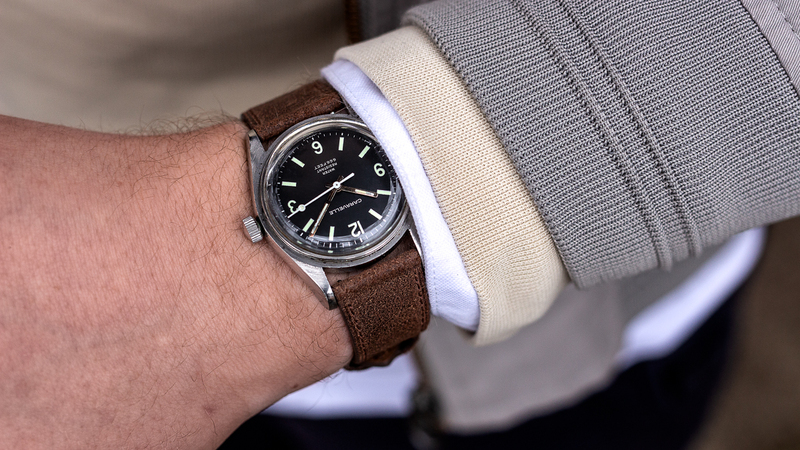 If you're actively following along with the series, you will have seen in the past we tend to suggest brown watch straps however black watch straps are equally as great for changing the look of a watch. Here, the Cebu Pastel Soft Top Grain gives the Caravelle an extremely classic look. It uses of top grain leather means its incredibly soft to touch and perfectly comfortable instantly. 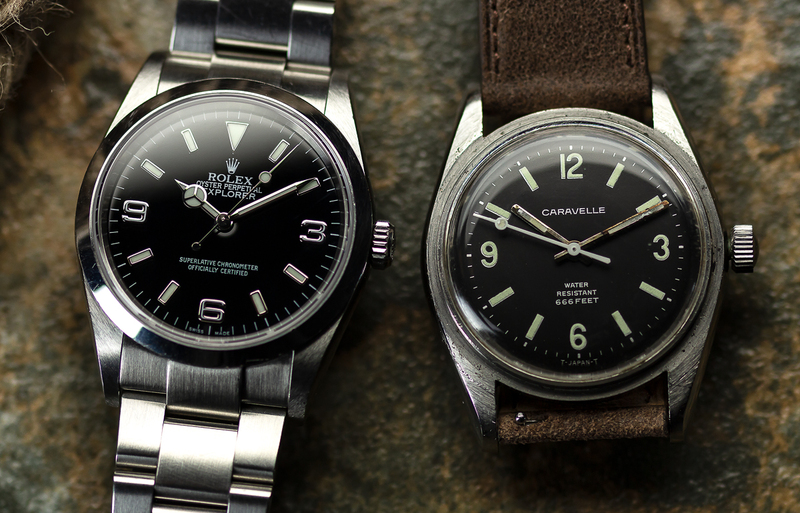 As you may imagine, Bulova and Caravelle didn't just create this one model under the Seahunter name. There are many examples which range from chunkier cases, the use of bright coloured seconds hands, integrated bracelets and white dials. This is a slightly smaller example with a case width around 34.5mm, a lug to lug of 41mm and a thickness still around the 11mm mark. The 6,9 and 12 remain on the dial however a date window replaces the 3, we see slimmer hour markers, longer seconds track and a lovely black bezel which over the years has turned a royal blue in certain light. The final most prominent difference of this watch is those hands. 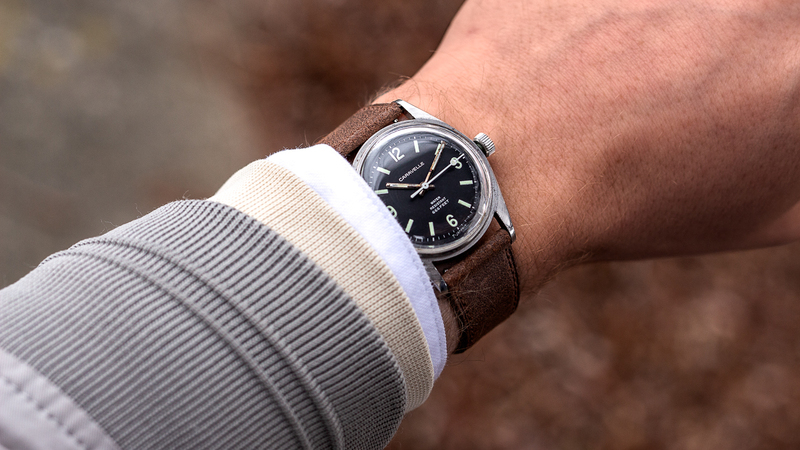 Commonly seen on watches such as the Longines Heritage Skin Diver, these heat-blued hands combine an almost broad arrow hand with a gradually pointed minutes hand. All of these core features sits on top of a deep gloss black dial. The example is also powered by a Swiss automatic movement rather than the manual wind Japanese choice for the main attraction. As you can see, this results in a vastly different watch when you bring the two Devil Diver's together. Strap wise, this version of the Caravelle has and probably will spend most of its life on our Butterfly Solid 5 Link D Profile which helps the watch wear just a tad bigger than the 34.5mm diameter. And just to prove how much I truly enjoy these watches - they both proudly sit in my personal watch box. Experience the watch for yourself! 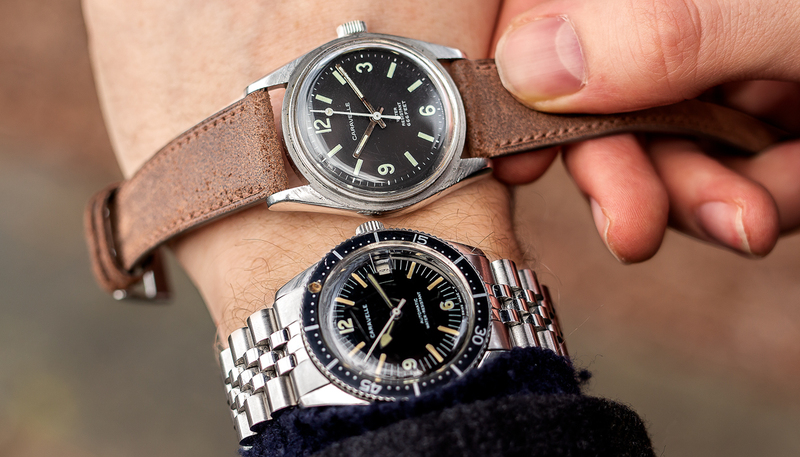 So, why should you add vintage watches to your collection? 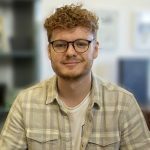 Well, to start with I've given a more detailed look as to why you should be buying vintage previously on the blog here, but let me summarise. Firstly the history these watches hold cannot be truly replicated. That unexplainable charm we mentioned earlier is truly unique to vintage watches and best told through wear, patina and visual ageing. The feeling that these watches have lived a life before your ownership is quite intoxicating when you explore the world of vintage. And of course, the Caravelle Devil Diver, in particular, offers charm, wearability, universal style and timeless design all in a watch that can be had for between £200-£1000. You, sir, have just blown my freaking mind with these two watches. My current ultimate vintage grail is a 1016, and now I know with certainty that I must have both of these; wow! The first watch I chose for myself was this one; bought strictly on looks. I was not a watch guy at age 12, but I knew I'd outgrown the tiny Timex that had been an Easter gift years before. When I looked at the watches offered at the local store, this one jumped out as especially manly- plus it had the red accent on the bezel AND that tiny red airplane on the second hand. If memory serves it was about $40, which was all the money I had in the world- and a price I paid eagerly to lug that thing around on my scrawny little arm. Loved that watch and wore it for years; somehow it disappeared during my time at college. I might have to find another- it still has the look I like!